Wall Street Journal writers Jesse Newman, Heather Haddon and Siobhan Hughes reported on Thursday that, “The House on Thursday narrowly passed a Republican-written bill that reauthorizes farm programs while also imposing controversial new work requirements on food-stamp recipients, acting on legislation that is important to a critical GOP constituency before the midterm elections. It is likely to get stripped out in the Senate, where members have statewide constituencies and are more likely to represent populations who depend on the supplemental nutritional program. “Top Markets for U.S. 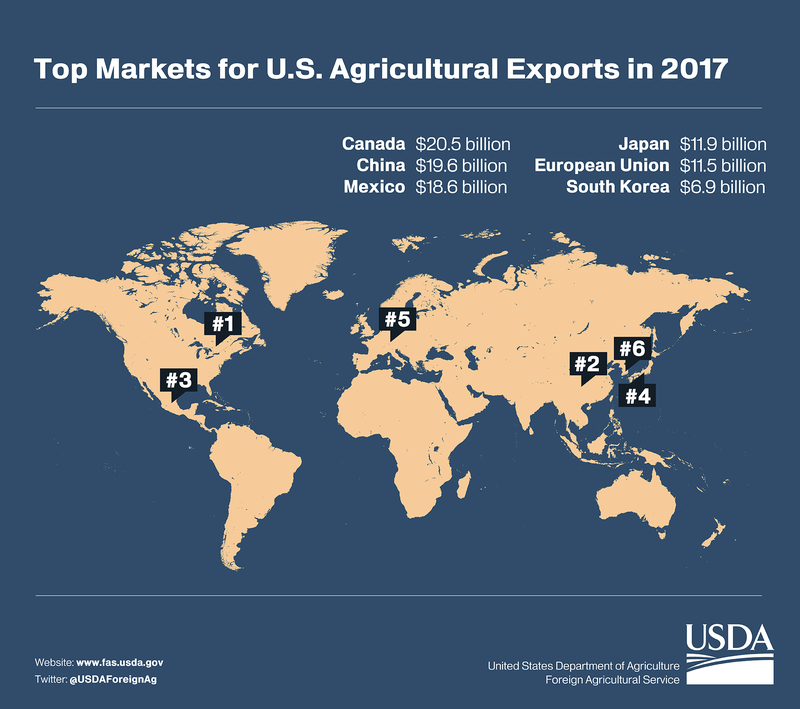 Agricultural Exports in 2017.” USDA- Foreign Agricultural Service (March 20, 2018). Mr. Clayton explained that, “The House farm bill makes few changes to the commodity programs farmer rely on. It does change the Agricultural Risk Coverage (ARC) to use crop-insurance data to calculate yields. The House bill also eliminates the individual farm coverage under ARC and sticks solely with the county program. The bill maintains the same reference prices for nearly every commodity in the Price Loss Coverage (PLC) program. “The House bill would eliminate new signups under USDA’s largest conservation program, Conservation Stewardship Program (CSP). The contracts for the current 72 million acres in CSP would continue until they expire, but no new enrollment would be allowed. Instead, the bill would investment more in the Environmental Quality Incentives Program (EQIP). Reuters writer Amanda Becker reported on Thursday that, “The U.S. House of Representatives on Thursday approved a massive Republican farm bill with changes to the government food stamps program that make it unlikely to become law in this form. Recall that a farmdoc daily update this week pointed out that, “Farm bill progress in the Senate has the potential to create momentum for completing reauthorization but potential hurdles remain. Looking ahead to a potential conference negotiation, there are numerous differences to work out between the House and Senate versions of the farm bill. The most prominent involve the House’s proposals for the Supplemental Nutrition Assistance Program (SNAP) and conservation policy, as well as for farm program design. 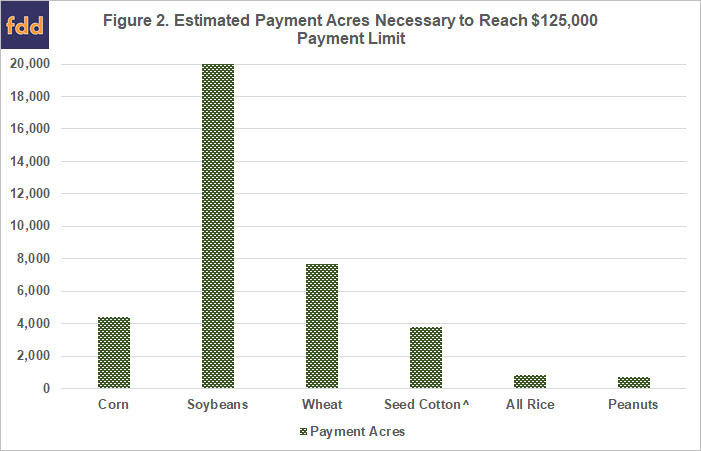 Among them, the issue of farm program payment limits and eligibility requirements stands out. Coppess, J., G. Schnitkey, C. Zulauf, and N. Paulson. “Progress and Potential Hurdles for the 2018 Farm Bill.” farmdoc daily (8):112, Department of Agricultural and Consumer Economics, University of Illinois at Urbana-Champaign, June 19, 2018. Kudos to @ConawayTX11 & House Ag Committee for full House passage of #FarmBill. Very important to give the agriculture community some much-needed certainty.